"When I was down she was full of advice." 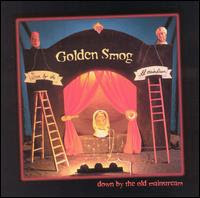 Golden Smog was for all intents and purposes a side-project providing another outlet for several creative musicians already in established bands. 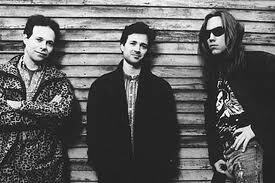 On "Down By The Old Mainstream" (1995)...the participants were...Dan Murphy of Soul Asylum.....Jeff Tweedy of Wilco.....Gary Louris & Marc Perlman of The Jayhawks.....Noah Levy of Honeydogs.....Kraig Johnson of Run Westy Run. 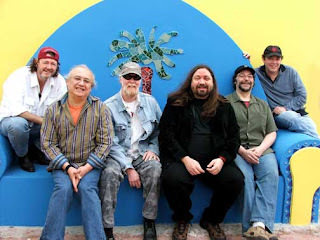 Labeled an alternative country-rock band, Golden Smog was classic-relaxed kool and it shows up in every song. The music was loosey-goosey...(but not sloppy)...and free from any real management expectations. This was regular guys (minus ego) having fun and making good music. Lost Gem:--> "V"...sounds fresh...yet so familiar. Easy to warm up to. Simply a bandmate's remembrance of a nice barmaid from the past. Rocks sweet! "...And empty clothes that drape and fall on empty chairs." 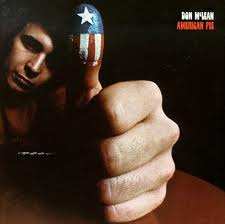 When American troubadour Don McLean released his second album..."American Pie" (1971)...with the 8:30 minute cultural megabomb title track...he quickly became the..."cryptic keeper of the flame." Everyone started coming out of the woodwork espousing their theories on what each line meant. Then radio started spinning..."Vincent (Starry, Starry Night)" from the same album, and fans discovered he was much more than a one-trick pony. Soon teachers began using McLean's descriptive songs as introductions to poetry. And, in this instance...as a doorway to the wonders of art. 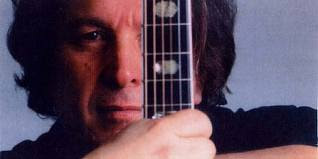 Add Don McLean's gentle voice to his timeless songs and we have another songwriting treasure to add to our musical collection. Lost Gem:--> "Empty Chairs"... is a beautiful exercise in the separation dance. Of experiencing that unfamiliar vacuum. Coming to terms and yet knowing...absolutely nothing...will ever be quite the same again. Like gypsy moths that dance around the candle flame. Until you did, I never thought you would. A sympathy bouquet left with the love that's dead. Never thought you'd leave, until you went. And empty clothes that drape and fall on empty chairs. "I'm gonna make her laugh. I'm gonna make her...shh." Who'd have thought three Milwaukee boys could lay down such cool apocalyptic punk junk? This is frustration multiplied. Teen angst on a rampage. Actually, this is probably as truthful an attempt at expressing a teenager's inability to "cop a pop" as you'll likely find. 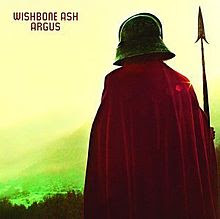 Wild and crazy folk rock at its best! Lost Gem:--> "Gimme The Car"...Quirky spazz vocals from angst king...Gordon Gano...only make his fantasy plans sound all the more desperate. And Brian Ritchie's bass work is stellar. Come on...everybody knows that a car is a teenager's motel! cause I ain't had much to live for. as he begins to close his eyes." 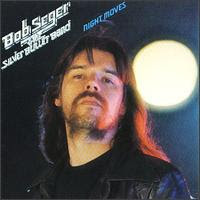 "Night Moves" was Detroit road warrior Bob Seger's 9th album and would be the record that finally propelled him up into the super stardom spotlight. But like the spot-on defiant attitude Seger's album cover projects...the man is a determined cuss. And we are all the better for it. Lost Gem:--> "Sunburst"...a successful, but slightly jaded, rock star...replays the repetitive concert nights in his head. This mid-tempo cutter is the perfect bookend to the "on-the-way-up" classic..."Turn The Page". A single strobe ignites the night. and they engulf the stage. as he begins to close his eyes. "She feels like leavin' and she don't know why." 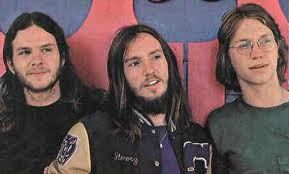 America was a folk rock band with gorgeous three-part harmony. An acoustical trio from military families...Gerry Beckley, Dewey Bunnell and Dan Peek...fit together like brand new Legos. The music was tight and warm and had found an audience...so when America released their 2nd album..."Homecoming" (1972)...like their first record, it soon went platinum. It was to be their last platinum studio album. 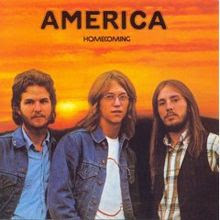 Fans and critics alike recognize "Homecoming" as the band's finest moment...leading off with the driving "alligator lizards in the air" song..."Ventura Highway". Filled with flashes of country rock mixed with Kalifornia kool...America had their metaphorical..."Dark Side Of The Moon". Lost Gem:--> "Don't Cross the River"...Even though added to their Greatest Hits package...this country-tinged beauty seems to always get lost in the shuffle somehow. Written and performed by Dan Peek (with his Randy Meisner'esque falsetto)...the wonderful note choices are powdered sugar to the ear. And, of course, Gerry and Dewey add their nailed-shut harmonies. Don't try denyin' livin' on the other side. "Round and round and round she goes like Shirley's curlies at the movie show." Widespread Panic is a wonderful jam band in the tradition of the Dead and Phish. Allman Bros quickly come to mind, as well. Hailing from Athens, Georgia...this jam-rock jewel is especially enjoyable live...sweating like a chain-gang on a horse with no name. 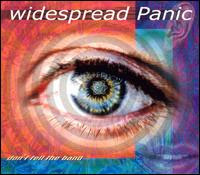 However, Widespread Panic make some pretty excellent studio albums too. "Don't Tell The Band" (2001) is a sweet treat...filled with tight songs that hit that smooth groove button. Deadly and satisfying...and often. 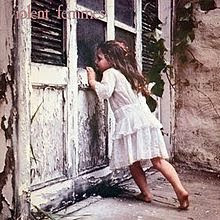 Lost Gem:--> "Little Lilly"...is classic Widespread Panic that finds its slide-glide early and sticks it to your ears. Make us stronger in our danger."